Demolition at a new construction site downtown has revealed pieces of old wharves and waterfront businesses from the 1770s. Stephen Davis is an archeological consultant at Davis McIntyre and Associates Ltd. 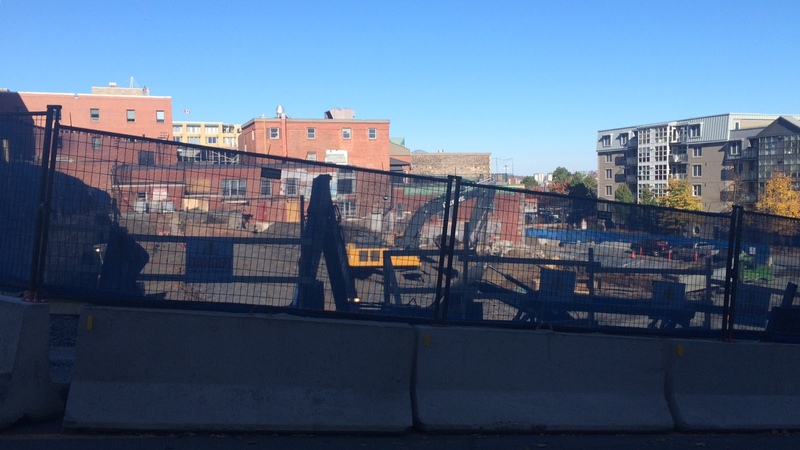 He and his team have just recently finished working on a site at the corner of Lower Water Street and Bishop Street. He found 12 large, old foundations in the ground that cannot be moved. 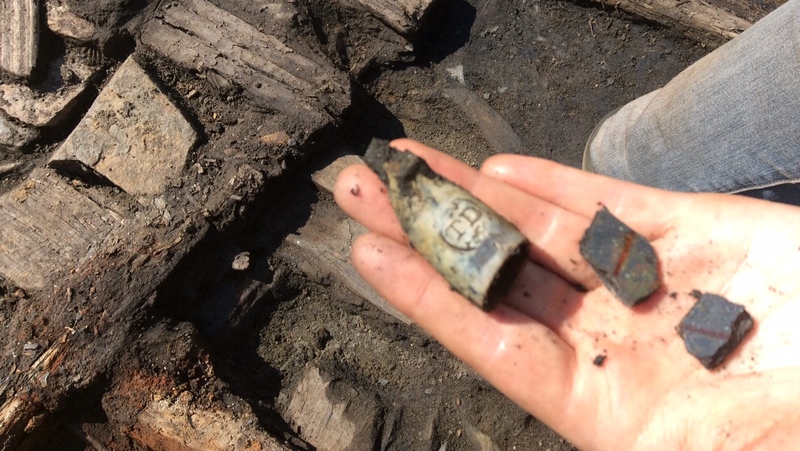 Davis says he and his team have also found various artifacts on site that were imported into the city by boat including tobacco pipes, handmade liquor bottles and buckshot. About halfway up Bishop Street, Davis and his team found what they believe to be the old foundation of a seamstress’ outhouse. They also found a lot of buttons, shoe buckles and dishes that would have belonged to the seamstress. These artifacts are being processed and any deemed museum-quality will be loaned to museums around the city for the public to enjoy and learn from. “Halifax has been a fairly well recorded city since its founding thanks to all of the merchants,” he said. This helps Davis and his team piece together what each feature once was. Nova Scotia’s Special Places Protection Act legally requires an archeological survey to be done on all sites prior to construction in order to preserve the historical integrity of the province. 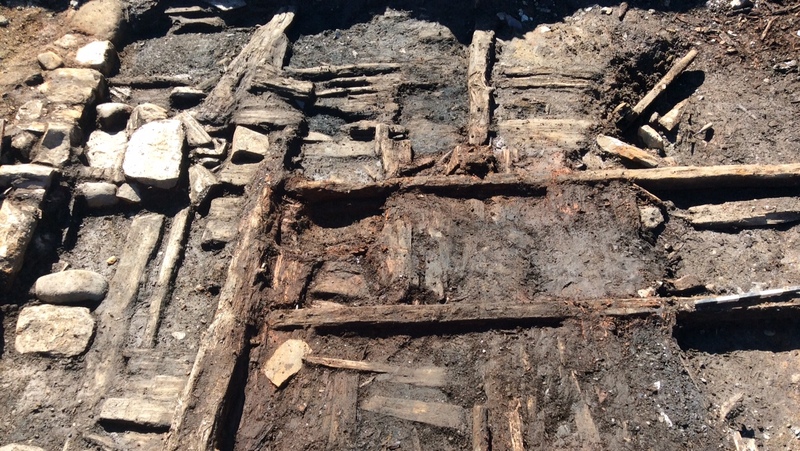 While the act requires a survey of the site to be done, the owner of the property determines the extent of the archeological work and the amount of time that can be taken to do the dig. Davis attributes the work he was able to do on the corner of Lower Water Street and Bishop Street to the cooperation of Killam Properties, the owner of the site. Dale Noseworthy, who works with Killam Properties Inc. said the company was very interested in learning about the history of the site. He said Killam is considering putting a display of the artifacts found on the site in the lobby of its new building. Joe Ballard is the president of the Heritage Trust of Nova Scotia. The organization advocates for the preservation of historic sites across the province. Nova Scotia is ahead of most other provinces when it comes to preserving its history, he said, but Ballard thinks the province could still do much better. “There is still much needed to be done to continue to win the hearts and minds of the general public and government,” Ballard said. “There are implications for the economy, for community identity, and for the image and confidence of the people who live there,” Ballard said. i am very proud of Killam to allow this to happen and as a current super in the downtown core would love to be apart of this team and if anything came available to work for you please don’t hesitate to contact me. thankyou for your team and the work t keep our city’s past upfront in the present. I think what your doing is something you should be proud of. I love history and look forward to hearing all the good stories of the past. Keep on digging.